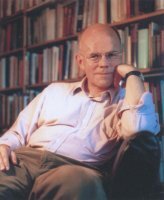 Michael Schmidt won high praise for Lives of the Poets, his 900-page investigation of the roots of British poetry. 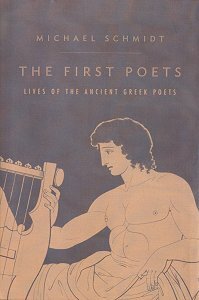 Now he has followed up with another impressive historical work, THE FIRST POETS--LIVES OF THE ANCIENT GREEK POETS (Alfred A. Knopf). Not as well known as such playwriting counterparts as Euripides, Sophocles and Aristophanes, the classical Greek poets finally get their due in Schmidt's new work. Callimachus, Pindar, Hesiod and Apollonius are just a few of the poets whose life and work are explored by Schmidt, but the best chapter in the 410-page book is on Homer, about whom the author comments, "over time 'the blind poet with seven birthplaces' has appeared, multiplied identities, then vanished like the Cat" (in Alice in Wonderland). "He was erased almost completely for a spell in a compelling spate of scholarship into 'oral traditions' in the middle of the twentieth century. Now he, she, or it is emerging again, ghostly and attenuated and hedged around with post-modern quotation marks and disclaimers, but gaining a little in solidity with each new book and scholarly paper. The Cat seems to be materializing around the grin once more." Knopf has done students, teachers and lovers of Greek poetry a favor by publishing this erudite and compelling work. The same company, by the way, deserves credit for the "Poem a Day" program it sponsored earlier this year as part of Mational Poetry Month. Those who visited knopfpoetry.com and signed up received, via e-mail, a poem a day for an entire month. The program was launched seven years ago and Knopf brought it back by popular demand.